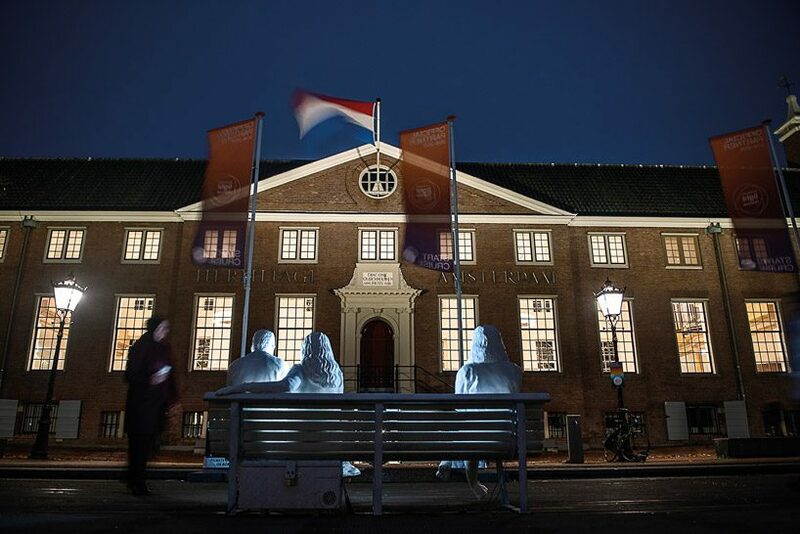 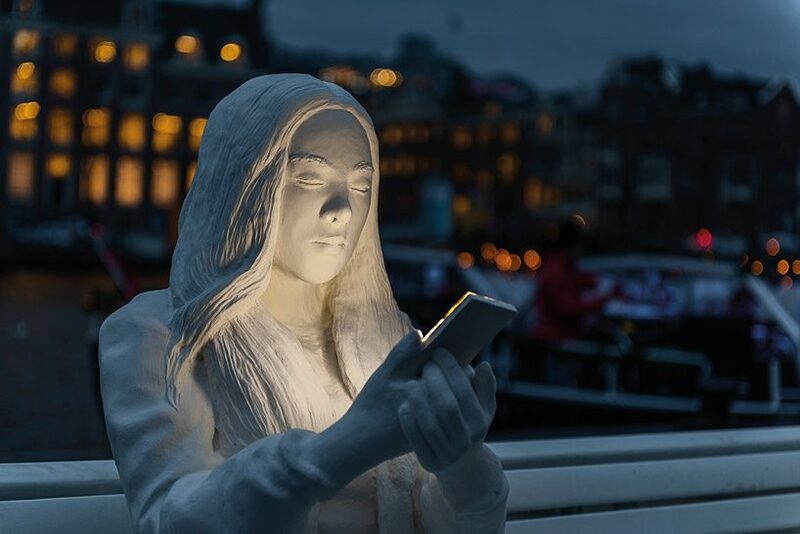 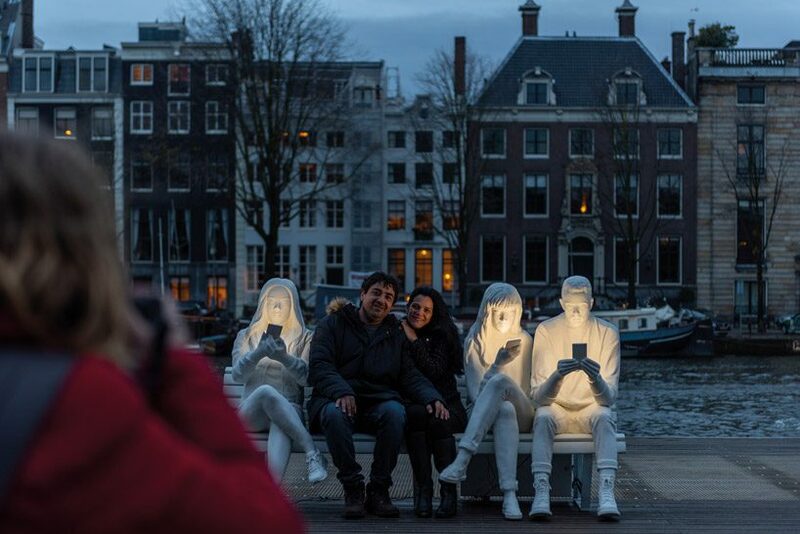 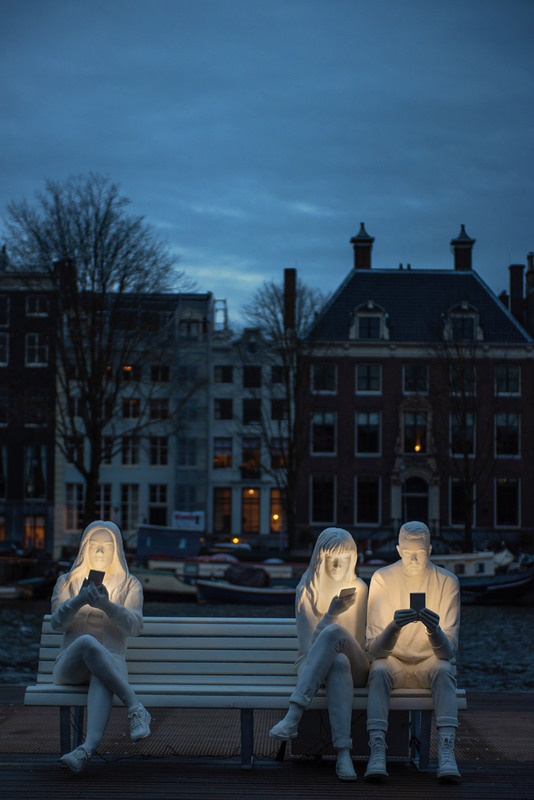 for this year’s amsterdam light festival, design bridge and artist gali may lucas have collaborated on a new light sculpture entitled ‘absorbed by light’. 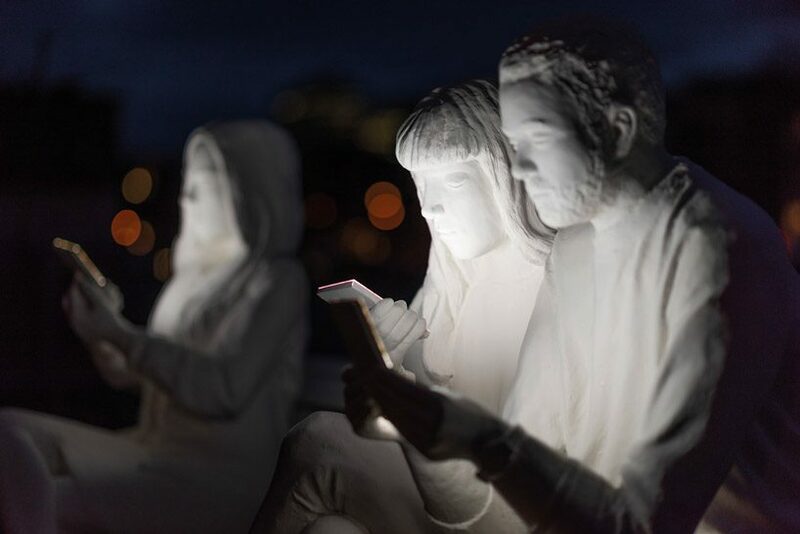 the sculpture aims to comment on how digital technology engrosses us and takes people away from reality. 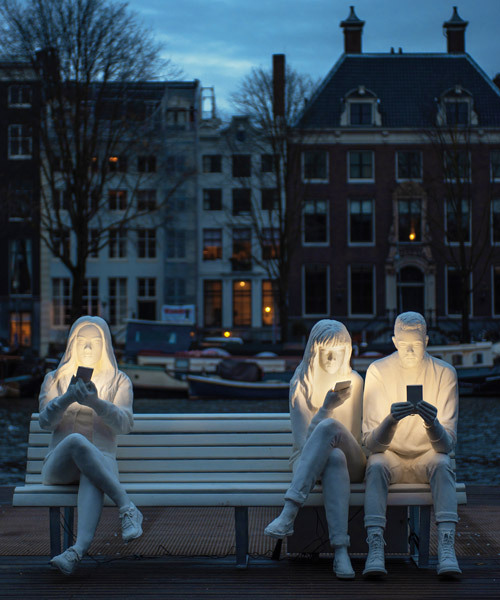 the piece is on display in the city during the annual festival, which takes place between from 29 november 2018 until 20 january 2019.
each year, the festival sees 30 new light sculptures and installations illuminate the streets of the city and this year lucas is the one of the youngest exhibitors. 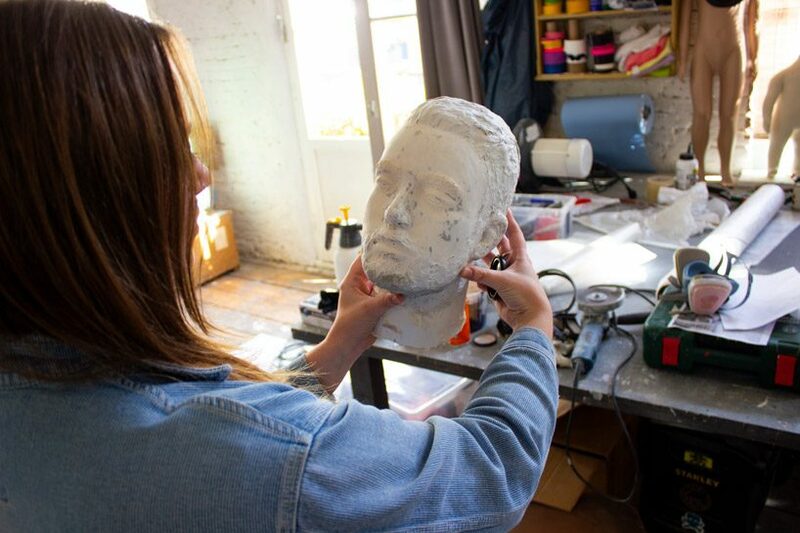 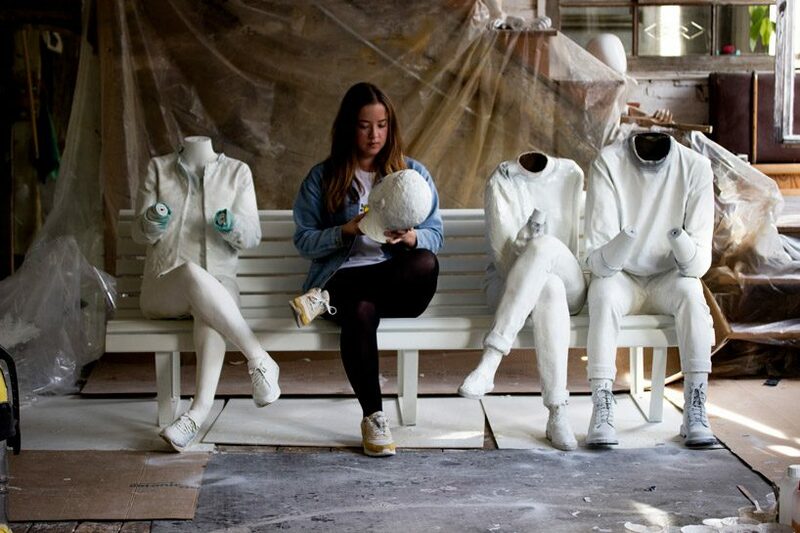 she worked with sculptor karoline hinz, who is based in germany, to create the piece. 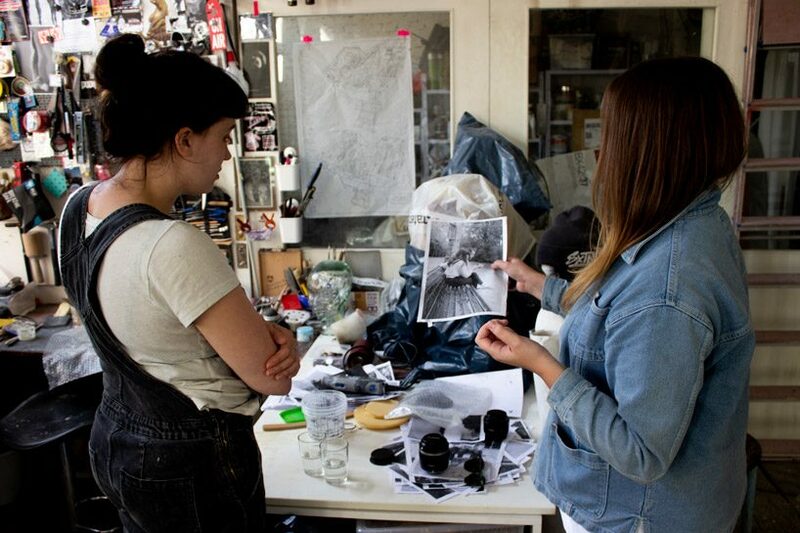 the two were initially connected after lucas discovered karoline’s work on instagram. 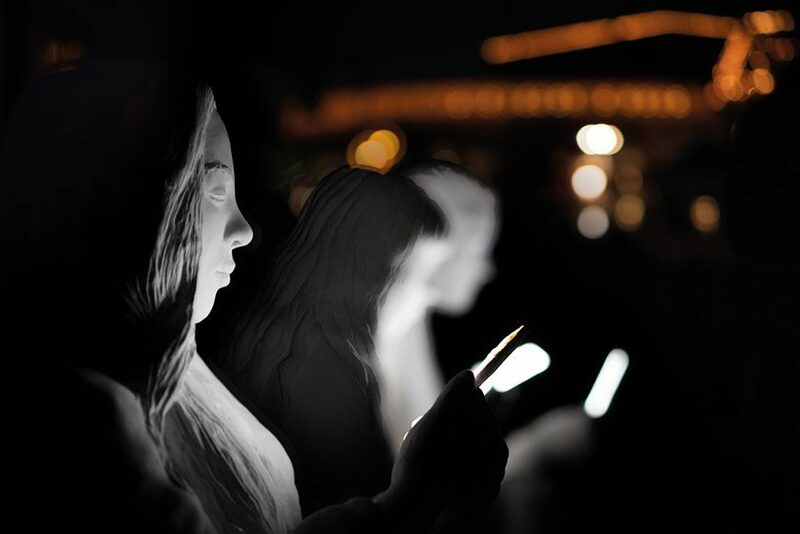 ‘absorbed by light’ depicts people’s fixation with digital technology and intends to comment on a reality that has become so ubiquitous in current culture.